Wende Correctional Facility is located in Alden New York, part of Erie County. It is a maximum security prison that houses males. The capacity of Wende Correctional Facility is 961 inmates. Offenders who are developmentally or physically disabled are housed in the Special Needs Unit. Additionally, this facility has multiple mental health programs to address various levels of mental illness. Wende Correctional Facility offers several vocational training courses, including business, custodial/building maintenance, plumbing and heating. Alcohol and substance abuse treatment services are also available to inmates. Inmates can take additional courses like alternatives for violence which helps train the inmate in various problem solving techniques. 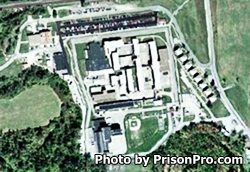 Wende Correctional Facility has visitation on weekdays from 9am-3:15pm and on weekends/holidays from 8:30am-3:15pm. Processing of visitors ceases at 2:15pm, you must arrive prior to this time. Monday to Thursday inmates can have up to seven visitors at a time, on Fridays, Saturdays, and Sundays inmates are limited to three visitors in one session.